There is nothing more jarring than a sound blaring unexpectedly out of your Mac’s speakers—something that always seems to happen when you’ve turned up the volume to listen to your favorite song on iTunes. 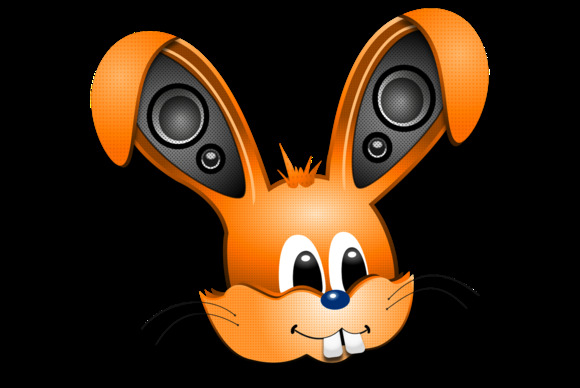 SoundBunny 1.0.3 helps protect you against these auditory assaults by allowing to set the volume level of each running app individually. Thus, you can let your Beethoven play the way it was intended—with the volume set to eleven—while Mail can notify you of new messages at a lower level that doesn’t make it sound like a confused airline pilot is attempting to land a 777 in your backyard. 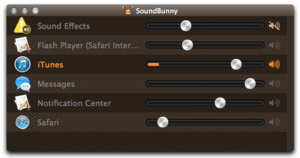 SoundBunny is a very useful little utility despite being constrained somewhat by what OS X allows it to do; according to the developer, it cannot control USB or FireWire speakers, and is incompatible with certain rare kinds of apps that output their sounds using specific operating system libraries. Get great control on your Mac's audio with SoundBunny, which lets you adjust volume based on individual apps.